The EUR/USD currency pair couldn’t start either a descending movement, or a strong ascending one. The only thing it did is reached a new top. Thus, we can see a three-wave structure inside this correction. The price may reach new maximums, but not too high. After that the pair is expected to start a more rapid descending movement. Today the price may form a pivot point. 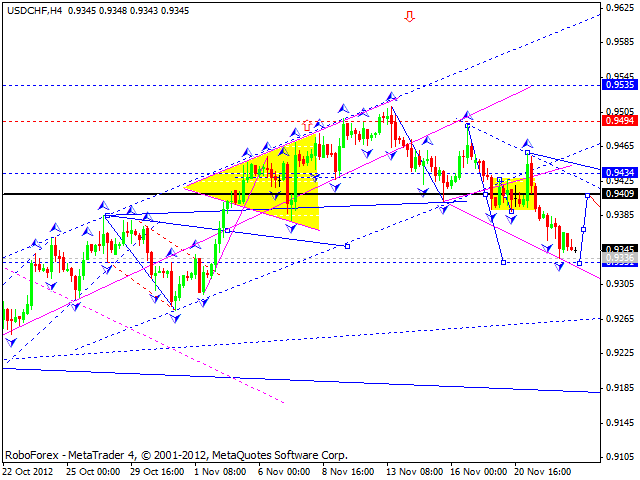 The GBP/USD currency pair completed the first ascending wave. The market is going to correct this impulse and then continue falling down towards the level of 1.5790. If the price reaches a new maximum of this wave, then we can expect it to form reversal impulses again. The market is very unlikely to continue moving upwards. 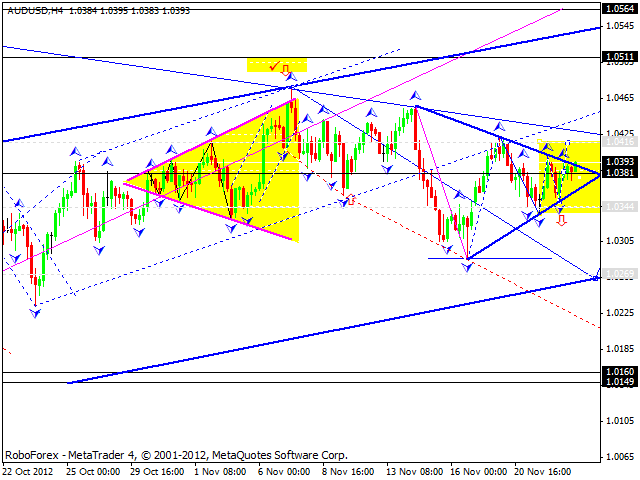 The USD/CHF currency pair is consolidating inside a narrow trading range. Today the price is expected to reach a new minimum and form a pivot point for a reverse. The next target of the growth is at 0.9535. The USD/JPY currency pair reached the top of this wave. The price has already completed the first descending impulse, and at the moment is forming the second one. 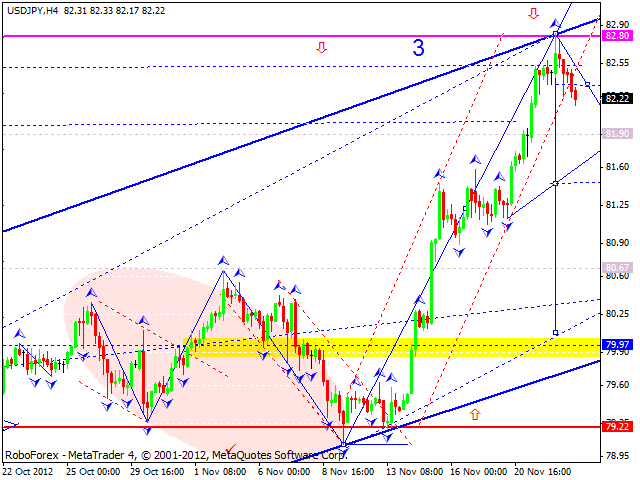 The first target of this wave is at 81.90. The market started forming a correction towards this ascending wave. Australian Dollar continued consolidating inside a “triangle” pattern. 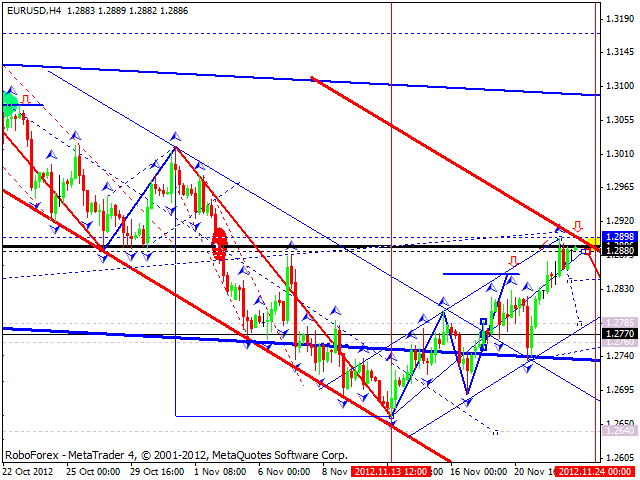 Today we can see that the price broke the pattern upwards and is moving towards the level of 1.0416. 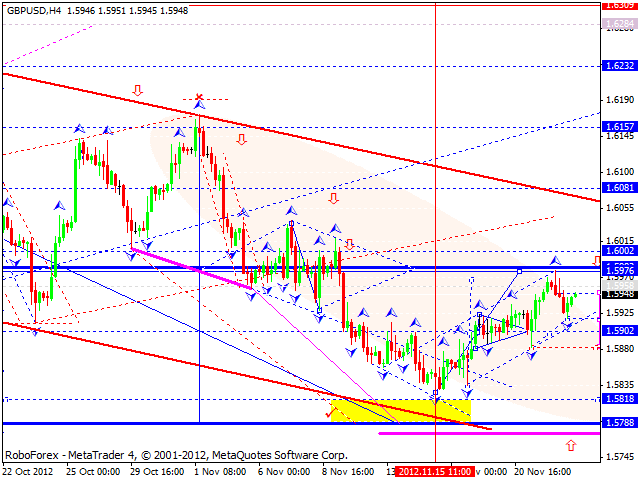 If the pair break this level upwards and consolidates for a while, it may reach the target at 1.0510. Gold continues consolidating inside a narrow trading range. 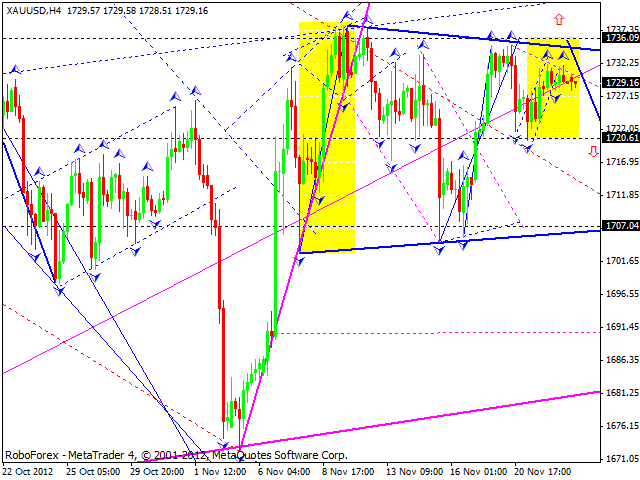 Today we can see a small triangle inside this consolidation channel. The instrument is expected to grow up towards 1736 and then move downwards to reach the level of 1707.